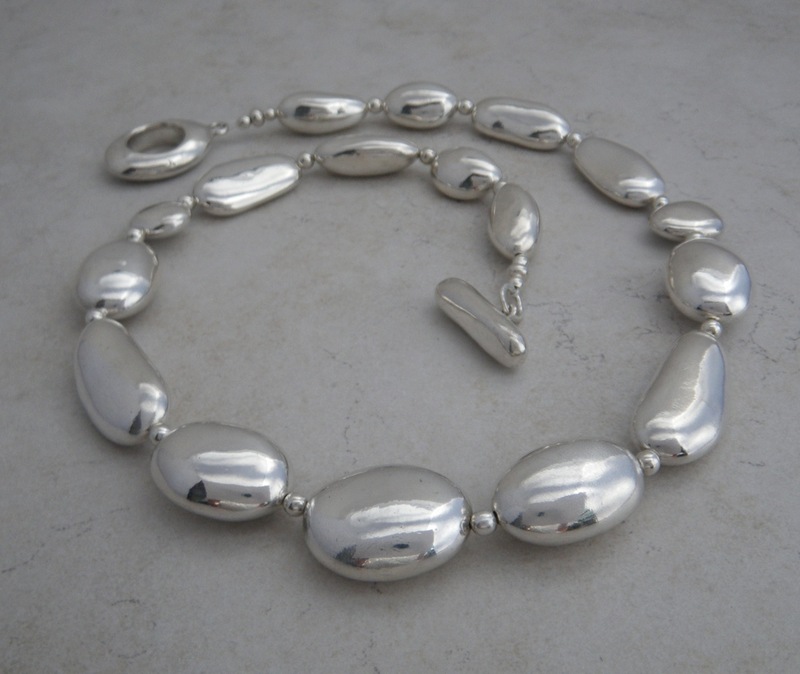 I was able to spend all day in the studio today, continuing my work on fine silver beads. As long as I have the precious metal clay on hand, I will work until I have a full kiln load. 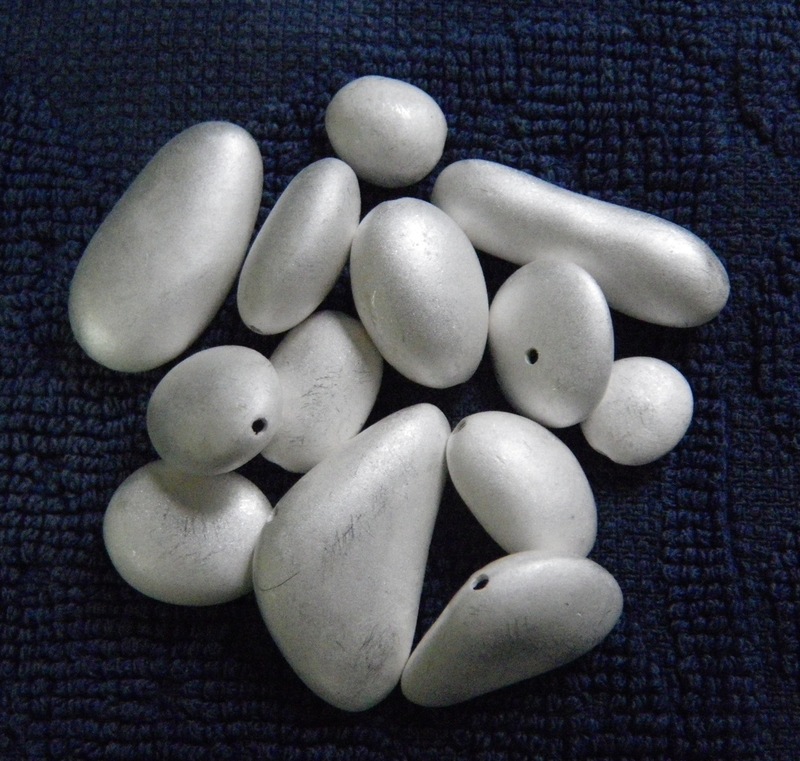 I haven’t fired anything from this batch yet, but since I have been asked what the silver rock beads will look like when they are finished, I’m posting a few photos from previous firings. Those are beautiful and so unique. Your beach stone and fs stone beads really set your work apart from that of anyone else. Thanks Susan. I really do love working with the stones and the silver. Are they hollow Barbara? They are gorgeous. I love all the organic shapes. Yes, they are hollow. I make silicone molds of the rocks, and then make two halves that I put together. Hey, I hope you are feeling better. Are you home yet? Oh I see. I am going to try an d learn how to make silicone molds when i get back. No, not home yet. Feeling better tummy wise but the pinched nerve is still, pinched. I have today and tomorrow to try and swim it away in the pool and then on Saturday the grueling 6 hour plane ride. That made my leg go numb on the way here. Not looking forward to Boston weather again at all. Going to make the most of my last 2 days here. Wow Barb, that was an incredibly generous donation! I love the organic look of those beads! Thanks Sue. We were guests of good friends whose son started the foundation. It was a fun evening and I was honored to have something included in the auction. Wow, Barb. Quite a difference polishing makes! Thanks for adding these pix. Quite a process you have.